Burning bauxite…or not: a calcined bauxite plant in Shanxi province utilising round or down draught kilns (right); the province is enduring another closure of plants owing to environmental inspections. As the summer of 2018 rolls on, temperatures have been rising in China where prospects for signs of some stabilisation in mineral trade availability and pricing are anything but certain. Continuing environmental inspections and explosives rationing have now been joined by safety inspections, a more stringent customs declaration procedure, and the prospect of a burgeoning US-China trade war adding duties to US imports of refractory minerals and end products. In June, the government held a major environment protection meeting in Beijing for the “Blue Sky Plan” – a new round of environmental inspections during 12 June 2018 to 28 April 2019, including over 50 cities which will impact mineral operations across the country for some time to come. Bauxite and brown fused alumina (BFA) production in Shanxi and Henan has already been hit, while safety inspections and the slow implementation of a single new mining conglomerate delay resumption of magnesite production in Liaoning. All these latest developments and forecasts for China’s mineral supply outlook are to be discussed at IMFORMED’s China Refractory & Abrasive Minerals Forum 2018, Shanghai, 10-12 September 2018, followed by a visit to CMP’s bauxite mine and new plant in Xiuwen, Guizhou province. 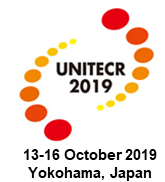 Early Bird Rates end very soon on Friday 3 August 2018 – Register here! With our long experience in Chinese mineral markets, this China Minerals Forum was initiated in response to the prevailing and unprecedented storm of factors significantly influencing one of the world’s most important sources of refractory and abrasive minerals. Whether supplier, trader, or consumer, it is paramount to keep pace with the fast-changing events in China’s minerals sector that are shaping the future of global industrial mineral sourcing. We have brought together a panel of experts and audience of key players to examine, network, and discuss China’s latest mineral evolution. See here for details including attending companies and programme. The General Administration of Customs of China (GACC) is to radically reform its required customs declaration requirements from 1 August 2018 aimed at eradicating illegal exports by demanding more stringent declaration details of the commodities traded and parties concerned, in particular, matching specific details of the exports with the imports. At present, apparently “a minimum of 70%” of bauxite and BFA exporters avoid payment of the 17% export VAT on the FOB value of the mineral commodity by completing the current customs declaration form with a fake company name “No Name” or by indicating “Shenzhen Special Economic Zone”. With Announcements No. 60 and 61 in late June, GACC is essentially upgrading its Customs Import and Export Goods Customs Declaration Form. By adjusting the format of original “vertical” customs declaration form to a “horizontal” customs declaration form, GACC aims to halt such illegal exports in future. Among the notable declaration changes is the addition of the overseas consignee column, ie. details of the importing party. The VAT number, country, and full address and contact for the consignee and the invoice customer for all shipments is now required. In order to cooperate with the implementation of the new manifest system of GACC, the information of manifest, bill of lading, customs declaration should be entirely consistent at both ends of the trade. This will effectively prevent enterprises or individuals without the right to import and export from engaging in international trade. One trader commented: “A lot of small smugglers are going to be terminated …which will push the market prices up”. Another effort by GACC to smarten up Chinese exports includes the demand that both exporter and importer must now have Authorized Economic Operator (AEO) Codes indicated on the export documents. 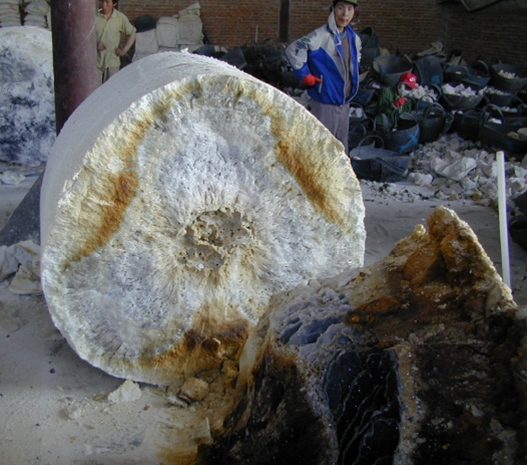 Many Chinese mineral exporters do not possess AEO codes. There are reports that few mineral trades are being offered post-August until players get to grips with how the new customs procedures work. That would seem not leave much room to trade before the widely anticipated October-March winter closure. Most magnesite mines and magnesia plants are reported to have stopped producing in Liaoning province, with the exception of certain large players which hold primary feedstock ore inventory, such as Qinghua Group and Liaoning Jinding Magnesite Group Co. Ltd.
A tragic accidental dynamite explosion on 5 June at Shifa iron ore mine, at Sishanling village, Benxi City, Liaoning, operated by Benxi Longxin Mining Co. Ltd, reinforced the government’s efforts to now include rigorous safety inspections parallel to their pollution control in Liaoning province. As a result, resumption of mining using explosives was delayed further, and was hoped to restart in July. There have been supply shortages of high purity grades of ore (impacting high purity DBM and FM grade production), although lower grade magnesite ores are available from the Dandong area. 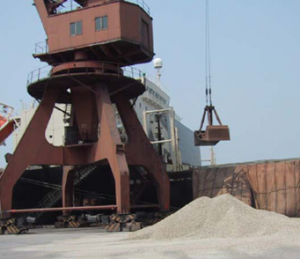 Prices at present, all FOB Liaoning port, have been reported in the range: CCM (85-95% MgO) US$158-360/tonne; DBM (90-97%) US$180-1,000/tonne; FM (97-98%) US$1,000-1280/tonne. On 20 July, the Northeast Asia Industrial Minerals Exchange (NAIME) reported that China’s DBM production was 132,000 tonnes in June 2018, a slight decrease of 5.38% from 139,500 tonnes in May 2018, but up considerably from the 30,000 tonnes in June 2017, reflecting the significant impact of the first environmental inspection period closing much of the sector in mid-2017. China’s output of magnesia-based refractories has also been rising in 2018, with a year-on-year increase of 34.39% in May, and 5.23% during Jan.-May 2018. According to Adam Zhang, Overseas Market Director & Analyst, NAIME, the three main factors impacting the suspension of magnesite operations in Liaoning in descending order of influence are environmental protection (70%), resource integration (20%), and safety precautions (10%). The proposed new single consolidated magnesite mining entity, now called Liaoning Magnesite Mining Co. Ltd, was supposed to have completed its founding formalities by 30 June, with a view to merging 28 qualified magnesite companies from June-September 2018 in two phases, ie. those companies passing all required safety and environment permits. A first phase of 12 mines of >200k tpa capacity were to merge 31 May-30 June (representing a total of 9m tpa capacity). Followed by a second phase of 14 mines of <200k tpa to merge 30 June-30 Sept. (total of 1.15m tpa). The idea is that the government will then “gradually allocate” explosives to the mines. The merger – proposed in 2017 – was given impetus by an Action Plan announced on 5 May 2018. Among the proposed reforms of the Liaoning magnesite industry were the meeting of strict operating procedures, control of mining volumes, and perhaps most intriguingly, sales “at one selling platform at universal prices”. The Dashiqiao government merged NAIME as the trading platform, and according to Zhang, by October 2018 nearly 80% of magnesia products will be traded on the NAIME. That said, somewhat conflictingly, recent reports coming out of Liaoning suggest that since the merger with the Dashiqiao government, NAIME’s role has changed with its main focus now on domestic trade of small or medium-size magnesia plants. Where that leaves foreign trade remains unclear. It is thought that the new magnesite conglomerate will start operations in late August 2018, and the executive manager of mining company will be the former deputy mayor of Haicheng. 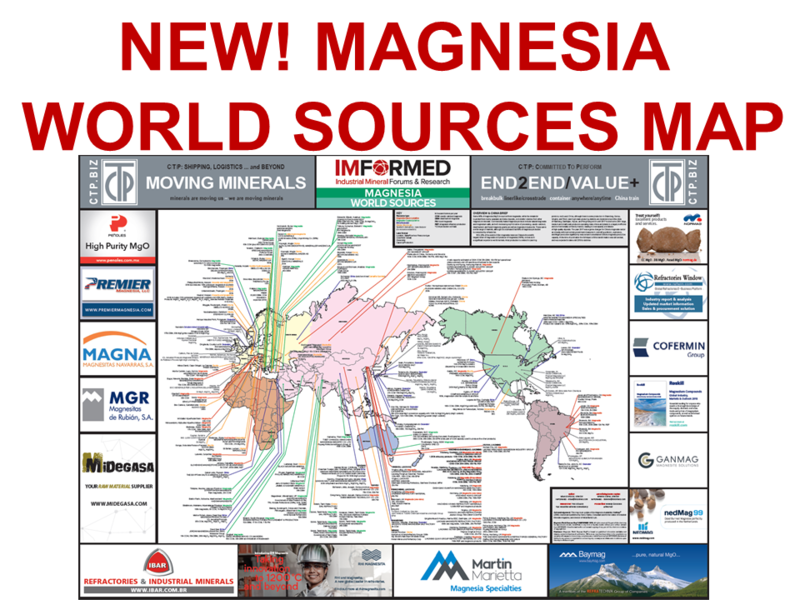 Apparently the first yields of primary magnesite ore will be consumed by the original mine owners as shareholders. The shortage of good quality ore has sparked a trend in Liaoning in the development of more sophisticated processing methods to utilise low grade ores, such as flotation and a 3-step method of fusion. 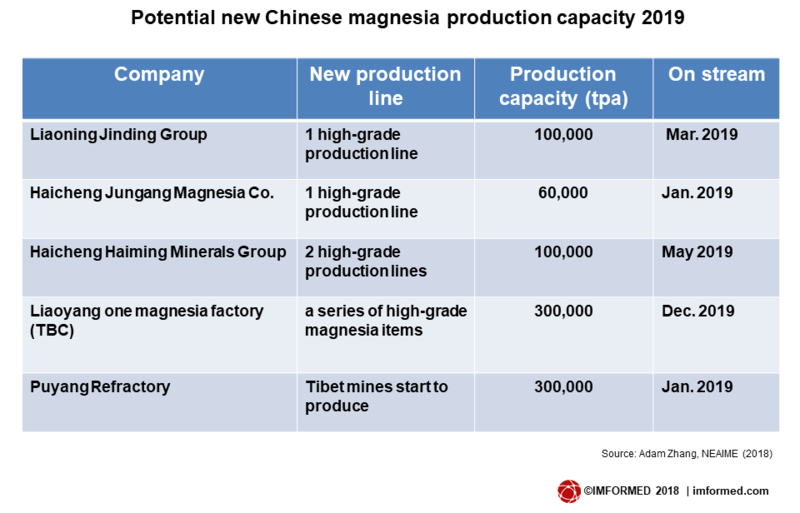 Several companies are planning to bring on stream new operations in 2019 which could bring a combined total of 860,000 tpa magnesia if all came to fruition (see table). 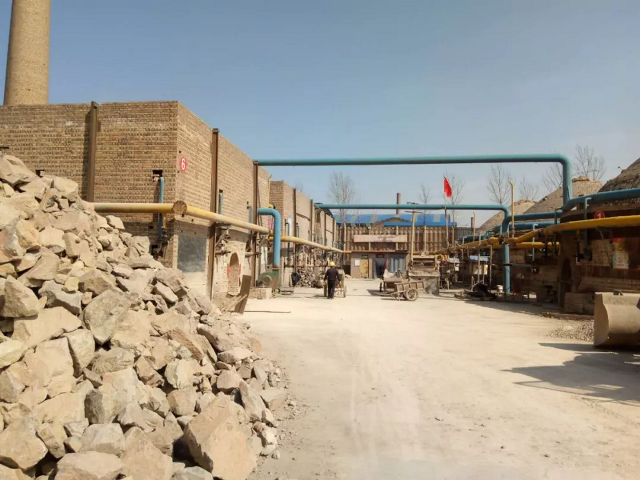 The bauxite mines in Sanmenxia City, Henan, the main raw material feedstock supply for BFA plants in Henan and Shanxi, were closed for most of July and there are fears that the shutdown may last for as much as four months. The supply stoppage sparked BFA lump price increases of RMB150-200(US$22-30)/tonne. BFA prices have been in the order of around US$760/tonne 95% Al2O3 FOB and calcined bauxite around US$420-460/tonne 86% Al2O3 FOB. Meanwhile, it was reported to IMFORMED that from 26 July, all rotary kiln plants in Shanxi were again closed for more environmental inspections. The Ministry of Ecology & Environment (MEE) has issued new standards for levels of dedusting, desulphurisation, and NOx, and all plants are now required to install on-line inspection detectors. One producer has already spent a considerable amount investing in anti-pollution and detection installation and is expected to pass the impending inspections. However, the company remains uncertain as to when it can resume production, perhaps not for another 1-2 months. Which of your China operations or suppliers will not make it beyond 2020? As if enough was not already impacting Chinese refractory mineral trade, the simmering potential of a US-China trade war has not helped matters. After the imposition of a 25% tariff on US$34bn of Chinese goods on 6 July, the Office of the United States Trade Representative released a further list of proposed targets for 10% ad valorem tariffs on US$200bn of Chinese imports on 11 July. This latest target proposal is significant, since it includes pretty much every key mineral product exported by China to the USA. 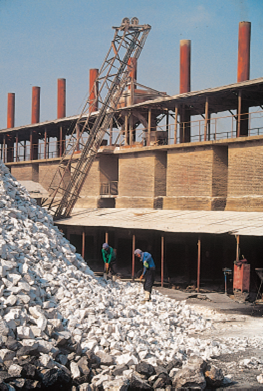 While the mainstream press has highlighted the inclusion of the so-called “hi-tech” minerals of rare earths and refined cobalt, the list of course also includes the primary refractory minerals of magnesia, bauxite, fused alumina, silicon carbide, and graphite, among others, plus refractory bricks and monolithics. A public comment period on this latest list of products is open until 17 August, with a public hearing taking place 20-23 August in Washington DC. A final list of products subject to the 10% tariff is to be announced after 30 August. How US mineral consuming industries respond to this remains to be seen, although noises have already been made by the auto industry unimpressed with the action. 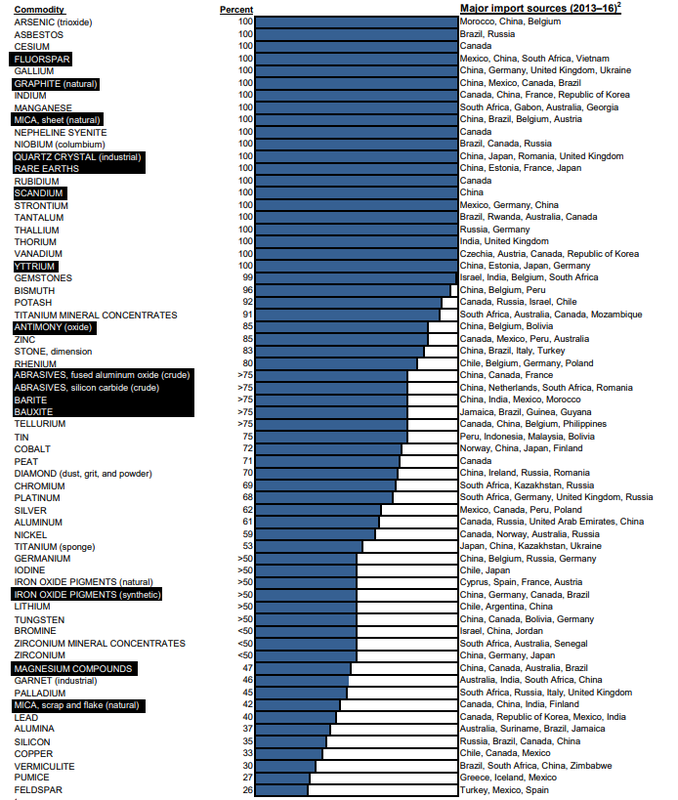 With a high import reliance on a wide range of minerals mostly sourced from China, the US may end up hurting its own manufacturing base (see chart below). This chimes with our prediction earlier this year that the run-up period to the anticipated winter closure period of October-March, ie. during July-September, may well be dogged by consumers jostling with each other to secure what raw material they can get their hands on from a shrinking pool of Chinese suppliers hard pressed to maintain production in the face of continuing environmental inspections. What we did not predict were the additional mid-year hurdles of a major reform in customs declaration and a potential 10% duty on US mineral imports. The next two months are expected to be tense as suppliers and consumers strive to feel their way forward. What better way to check out the situation first hand? 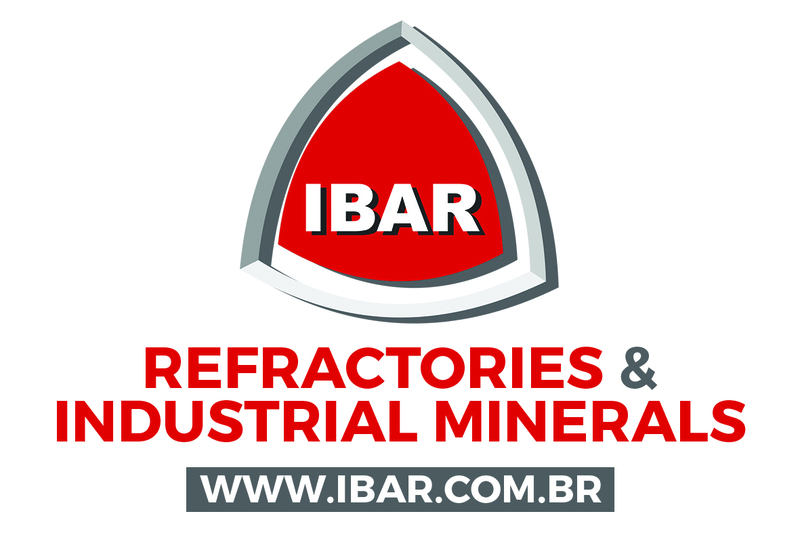 Nearly 100 leading international refractory and abrasive players seem to think so already, why not join them?